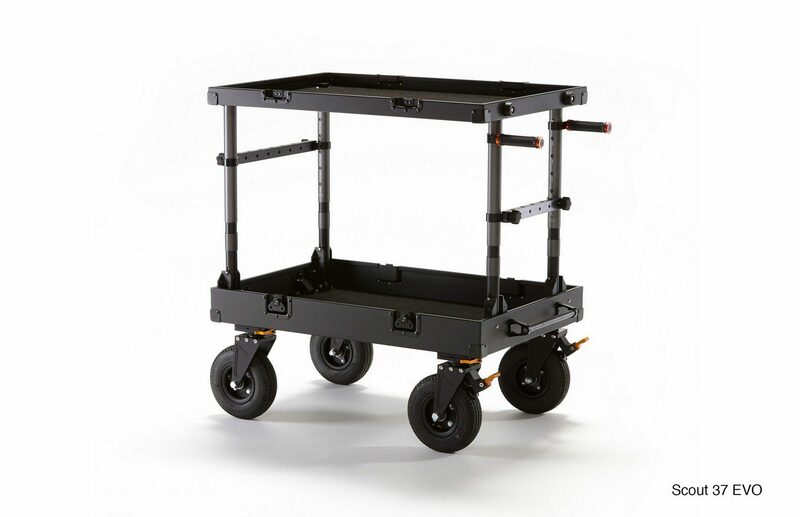 An ultra-lightweight compact cart built tough for travel & collapses down to a slim 7” thick flight ready travel case. 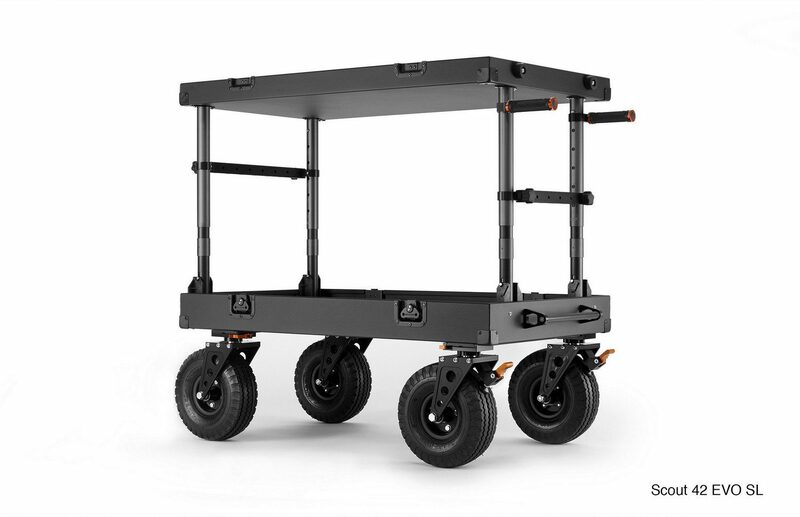 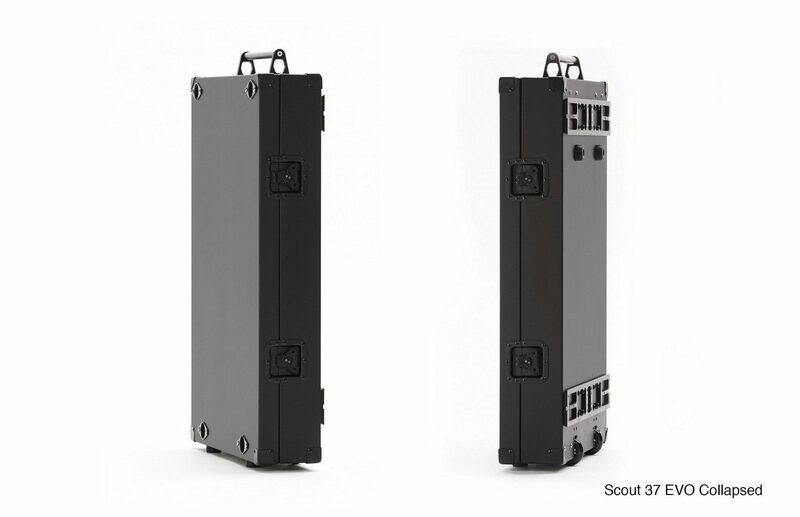 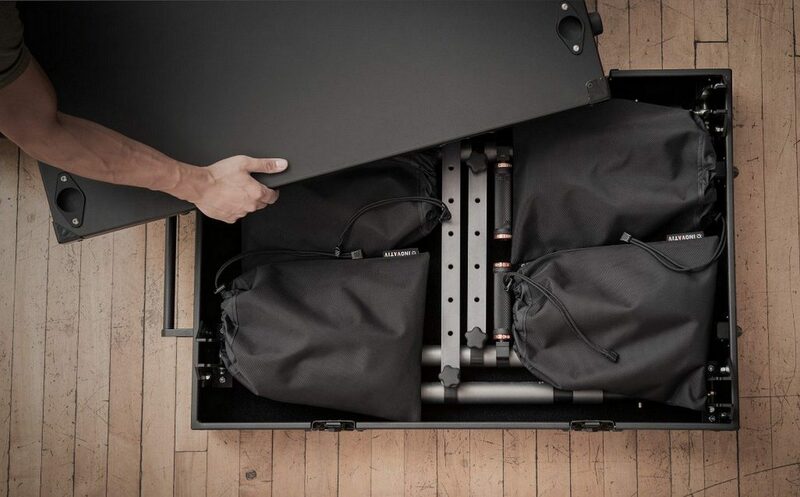 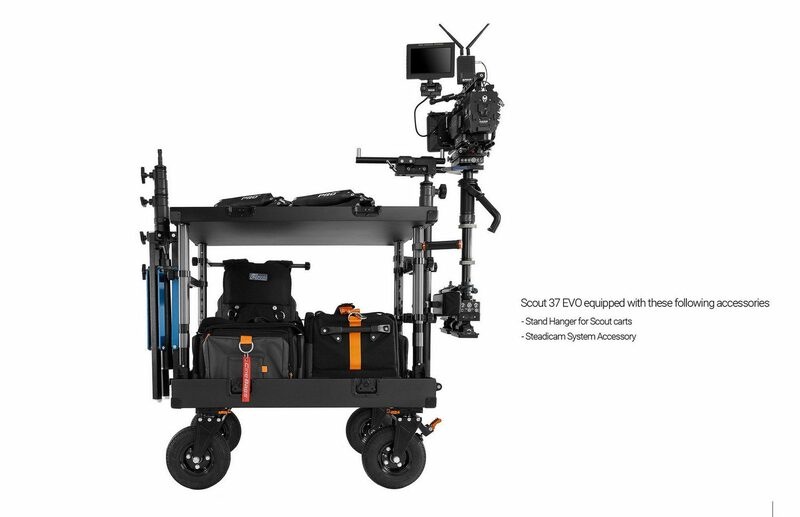 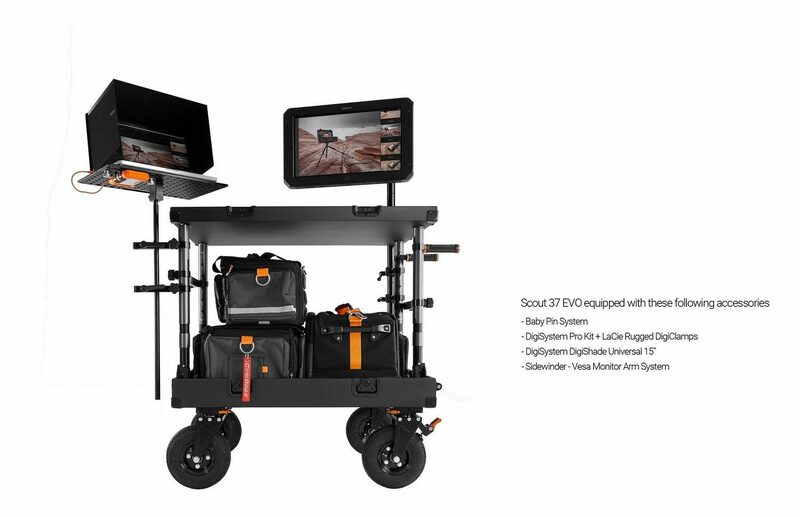 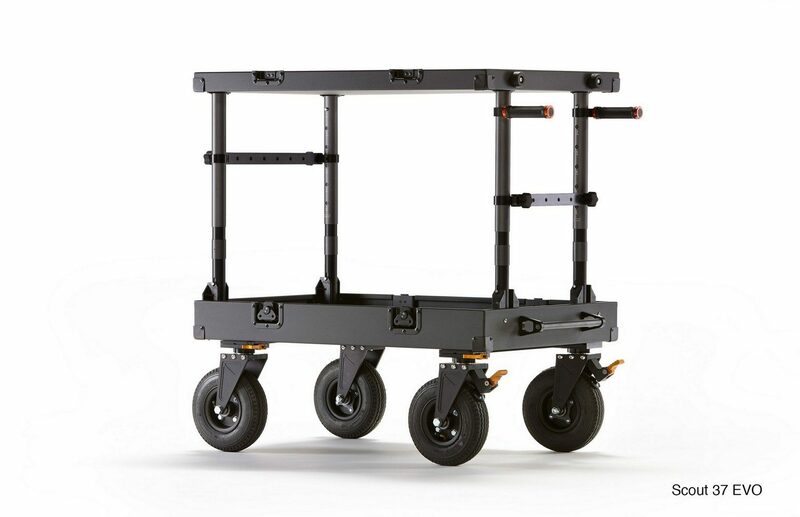 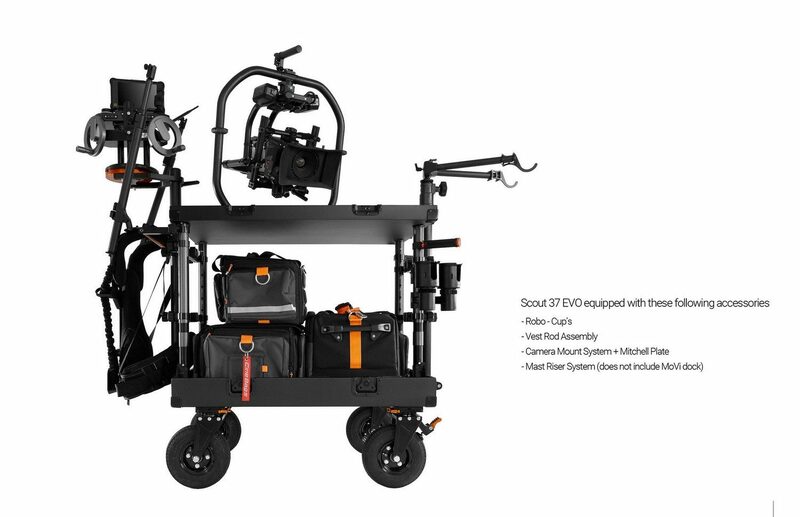 The Scout EVO is INOVATIV’s most compact and travel ready equipment cart. 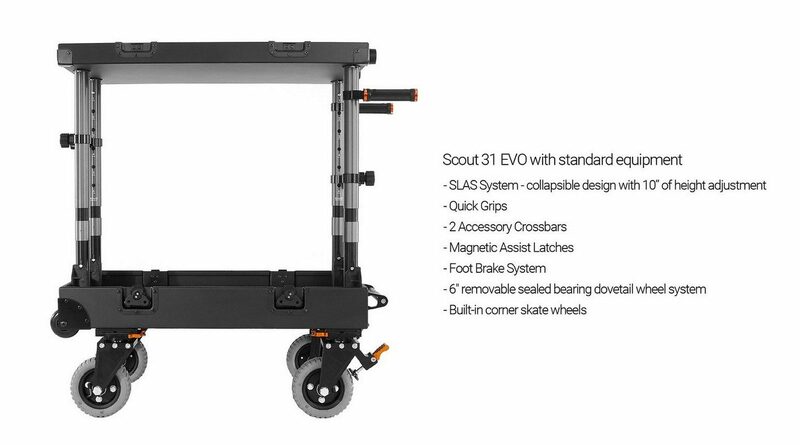 Manufactured using the very best lightweight premium materials, we are able to keep the overall weight of the Scout EVO to a minimum without sacrificing durability or stability. 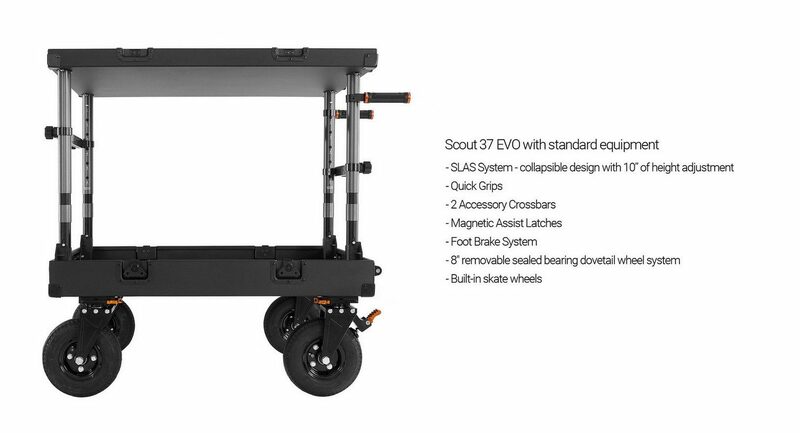 With the portability and slim profile of the Scout EVO, you can easily collapse and transport the cart in the back of a compact car, small SUV or simply just save space. 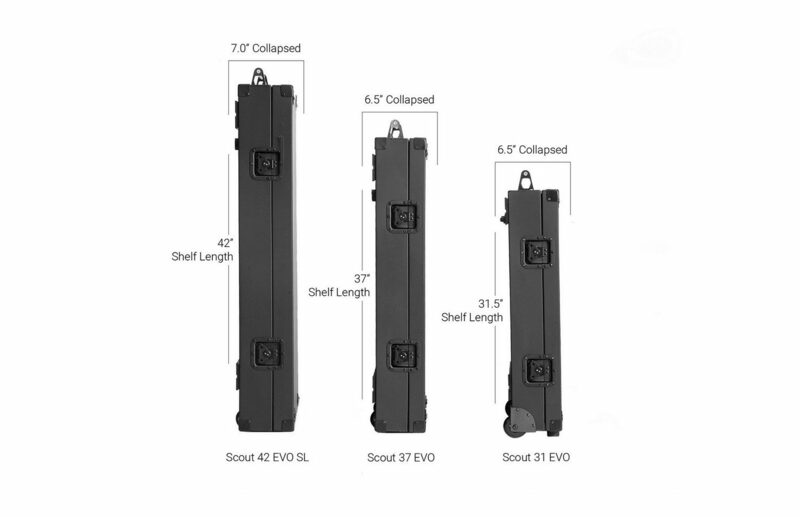 The Scout EVO utilities INOVATIV’s patented SLAS (Self-Locking Adjustable Shelving) system. 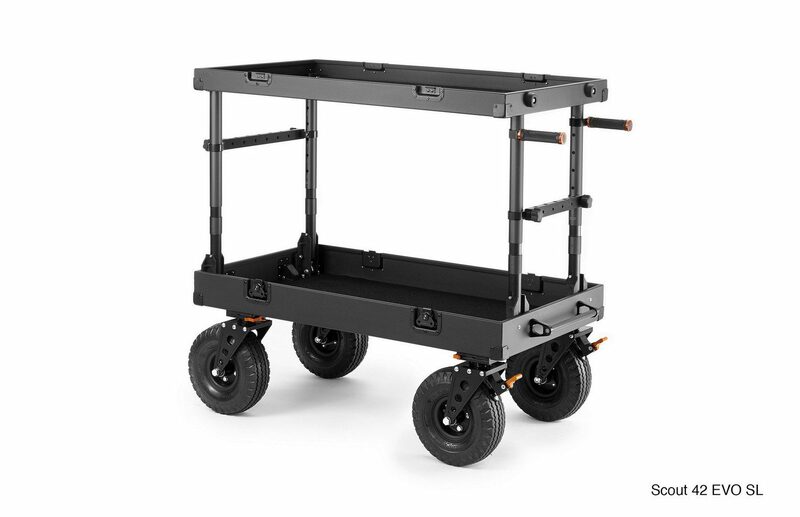 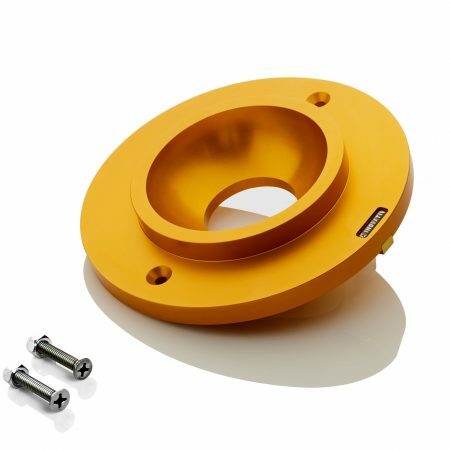 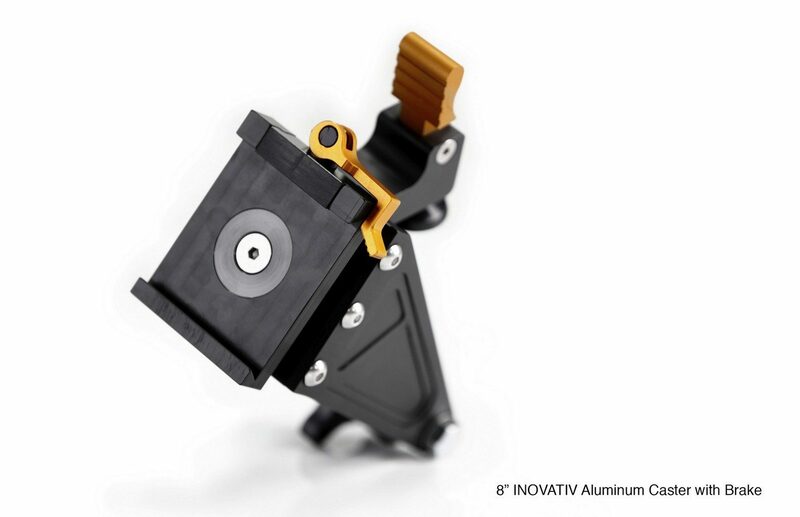 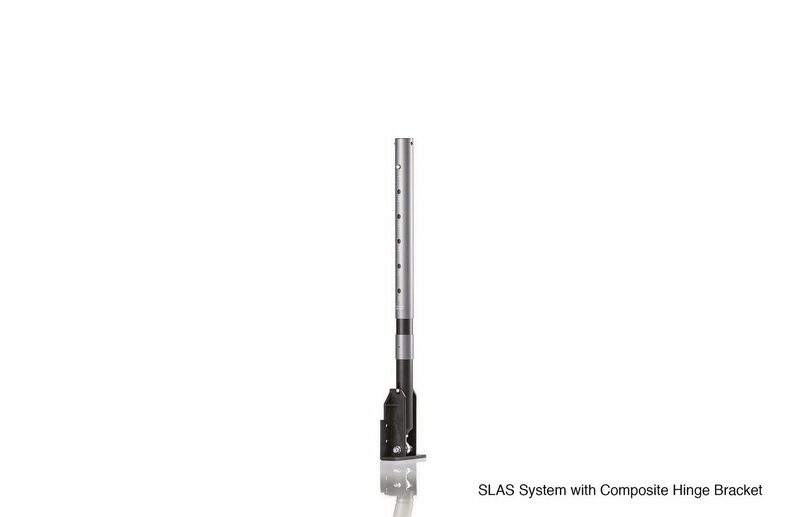 The SLAS system is the backbone of all INOVATIV carts and enables the user to assemble and collapse the cart effortlessly with its tool-free design. 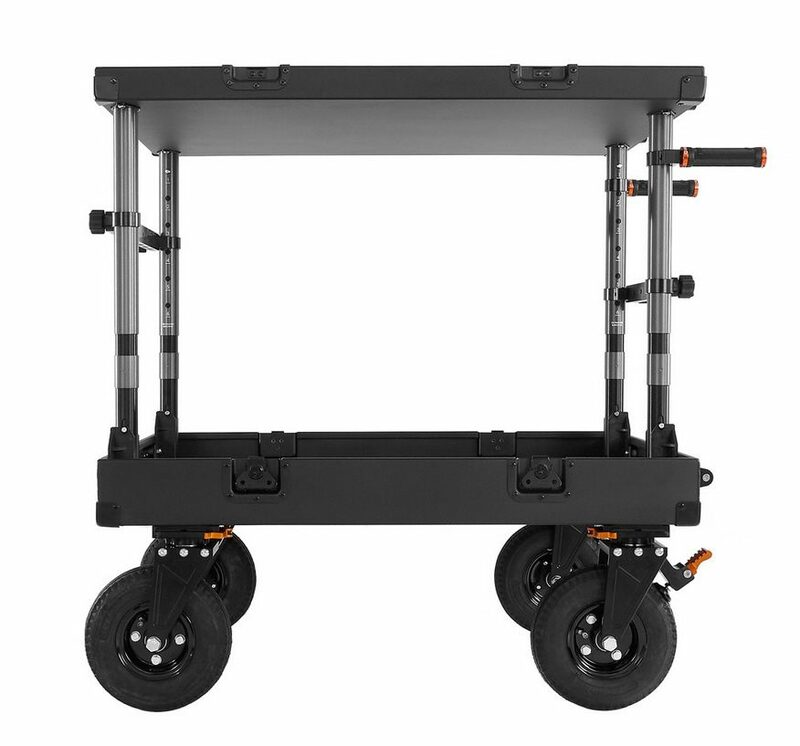 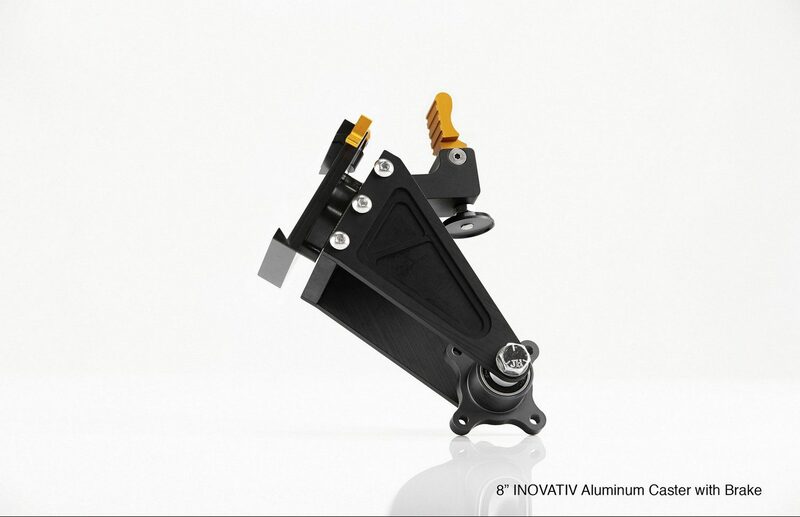 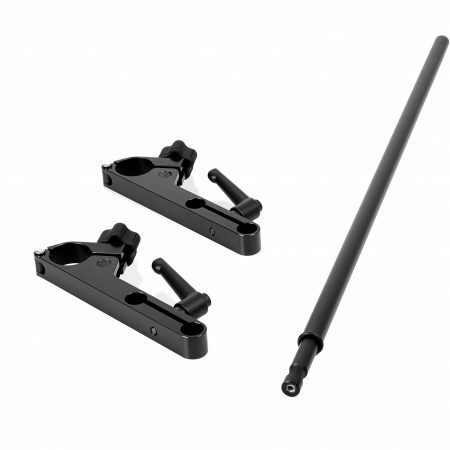 This system also incorporates INOVATIV’s locking top shelf that is height adjustable up to 10″ in 2″ incremental stages. 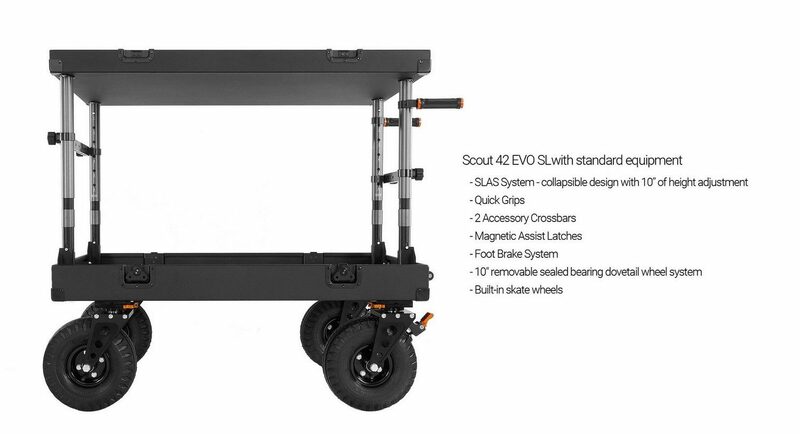 To ensure the Scout EVO rolls with ease, its equipped with INOVATIV’s premium quick-release dovetail wheel system. 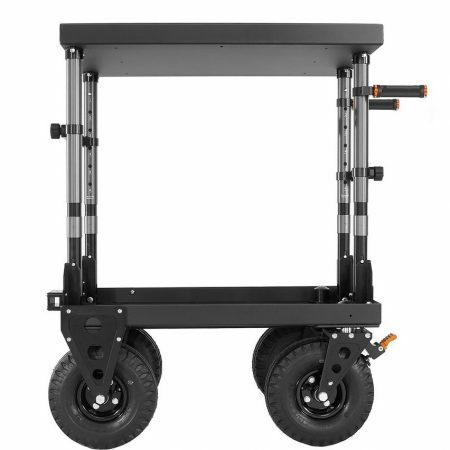 Each wheel is easily attached or removed and is comprised of an all aluminum lightweight structure, high strength 100% sealed bearings, and 6″, 8″, or 10″ (42 EVO SL) pneumatic tires. 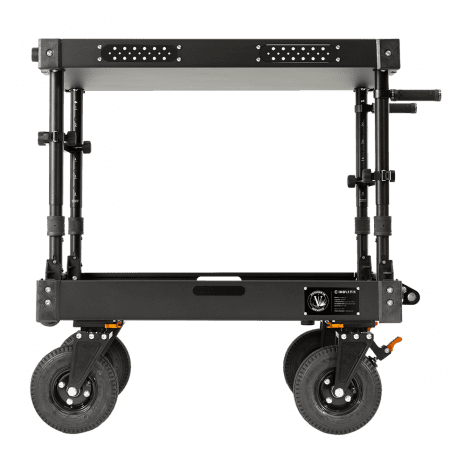 The Scout EVO is equipped with 2 swivel or “smart” casters mounted with INOVATIV manual foot brakes and 2 fixed casters that can transform to a swivel configuration with the removal of a bolt.